The Foundation and other bodies have assisted with a range of previous projects. 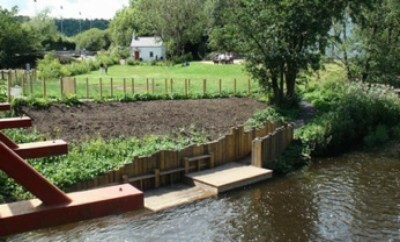 Case studies include improved disability access at Holme Pierrepont, and providing steps at Lazonby on the Eden. Below are two examples to act as a guide. The Foundation has already assisted with the purchase of land at Ripon (on the banks of the Ure and Ouse) and at Hoarwithy on the Wye. These have secured parking, provided potential camping and access from the riverbank on major rivers with excellent stretches and increased potential for canoeing. Raising further capital funds would allow opportunities for further strategic land to be secured as they arise. 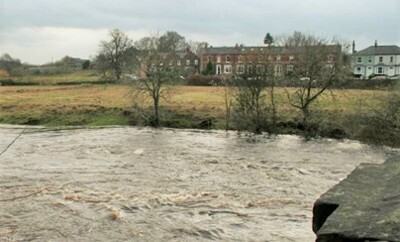 Previous canoeing partnerships include providing steps at Lazonby on the Eden and at Bamford on the upper Derbyshire Derwent, a result of a partnership with the Parish Council. They both give access to Parish Council owned stretches of river as well as to white water sections of the rivers. Significant work by the governing bodies in conjunction with some public funding has created a number of trails that are now being used by local people.